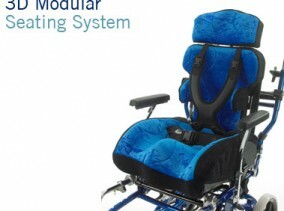 SOS developed the BM seat as a “Softer Positioning System” to introduce basic mid line postural control to the very young disabled child at an early stage of development. 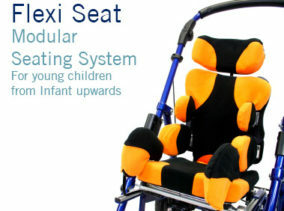 Lightweight and easily installed into a range of Stroller type buggies for convenient daily use, the BM seat allows the child to be seated more effectively with all the functional benefits of the Stroller type buggy’s lightweight, robust compact design and is easily detached from the buggy for easy stowage in conventional family vehicles. 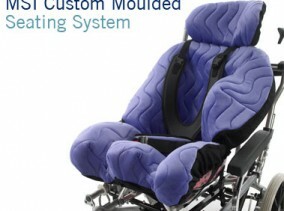 The BM System was originally conceived as a seat support for the McClaren Major Buggy but can be interfaced into a wide range of standard stroller type buggies for further advice and guidance on this contact our Customer Services. 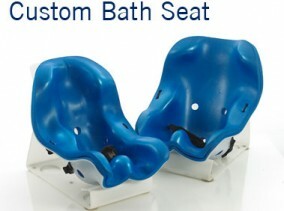 The BM Seating system has been developed for very young children using a soft, light foam for maximum comfort. 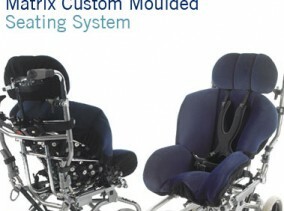 We offer this product as a stand alone item to be interfaced to a compatible stroller or one of our own wheelbases. 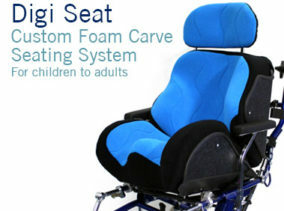 Because the BM system is manufactured from a ‘soft foam’ assembly it provides effective support and comfort to establish good mid line symmetrical posture without being too aggressive, with adjustment to cater for a wide range of children with special seating needs and at the same time offers a comfortable functional seat easily adjusted to suit each child. 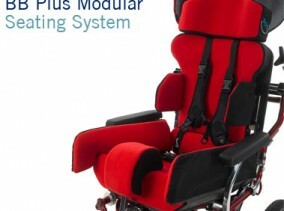 Each BM system is supplied with an integral five-point harness which offers good control to children when using the equipment to ensure security and safety during use and adjustments to increase or decrease the size in certain areas of the BM system is easily achieved by removal or insertion of the growth liners to suit. 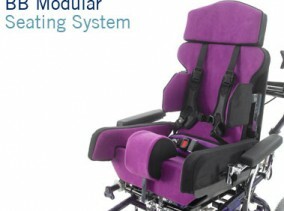 The BM Seating System is available in: soft velour, terry toweling and wipe clean vinyl.